Update: New all aluminium encoders have been release in July 2012. See the Sinuoid site for details. 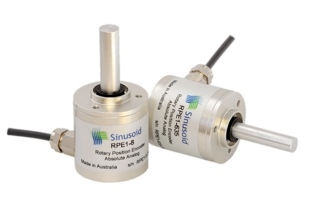 Sinusoid Pty Ltd has just released a range of rotary position encoders. These are based on contactless magnetic encoder chips from Austriamicrosystems.